Can Flotation Therapy Help Your Anxiety? When was the last time your mind stopped running and buzzing around? When was the last time you felt completely at ease, and actually in the moment, without a thought or care in the world? Flotation Therapy can give that stillness back to you, even if you’ve never meditated a day in your life. Imagine if you could float on a cloud, without any effort….and while you’re floating, you’re being supported by blended minerals that help you relax like you never have before in your life…and this relaxation feeling is so powerful that it lasts for days. That’s floatation therapy, in a nutshell. At The Flo, our Float tanks are designed specifically to help minimize all of your senses — light, sound, and feeling — and helps you achieve a state of meditation and relaxation. And because you’re literally floating, gravity is almost absent, which allows stress and tension lift from your body and mind. 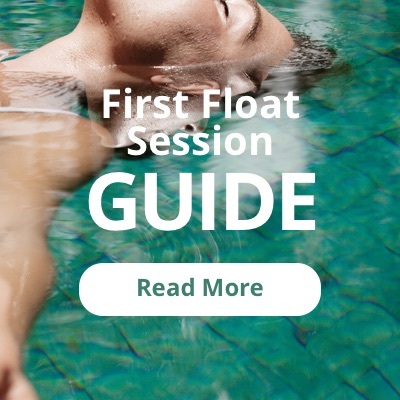 According to Scientist Dr. Justin Feinstein, the level of relaxation achieved in a flotation pool is similar to what would be achieved with anti-anxiety drugs or meditation. Flotation Therapy helps people with anxiety become more aware of their own body: those with anxiety will often imagine that their heart is beating out of control, and a flotation pool allows them to lie still and really hear their own heart rate and breathing. BUT, even after all of these studies and testimonials, there’s still one thing that tends to worry people in regards to floating, and it has to do with the floating tanks themselves. The idea of it, especially for people prone to axious thoughts, can be extremely overwhelming. From the outside, many people think that the tanks themselves look claustrophobic. And it’s a totally understandable perception to make, but it’s important to note that most of the people who worry about this, stop worrying once they actually get into a tank. The tank is actually much bigger on the inside than you might think, and you can sit up and move around easily. If you feel extremely uneasy at first, you can also leave the door cracked or wide open with a light on — some people find that helpful until they get comfortable with being inside of the floatation tanks. The key to remember is you’re in complete and total control of your experience. Total darkness is actually more likely to feel infinite than enclosing. What’s extremely interesting about the correlation between floatation therapy and anxiety is this study by a research group at the Human Performance Lab at Karlstad, Sweden, where they tracked self-reported levels of anxiety, and showed a ~30% reduction after 12 float sessions. These benefits were sustained for 4 months after the end of treatment. And in 1990, Koula et al treated patients with generalized anxiety with a series of 7 float sessions, and found significant improvement in symptoms when assessed 7 months later. These numbers are huge, and as you can see, it’s absolutely possible to decrease your levels of anxiety with flotation therapy. So if you’re interested in seeing what floatation therapy can do for your anxiety, visit us at The Flo on Allen St. in Buffalo, NY to experience possible anxiety reduction firsthand.